Highest Praises from Apple Vacationers. CALL A PALLADIUM RESORTS VACATION SPECIALIST TODAY! 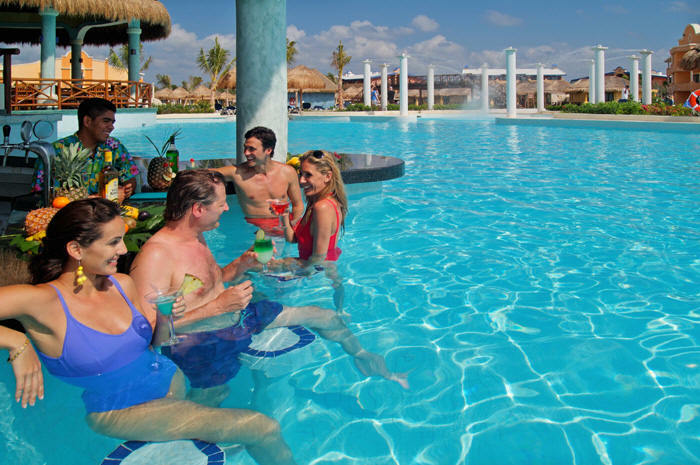 Book Your PALLADIUM RESORT & SPA VACATION ONLINE TODAY! 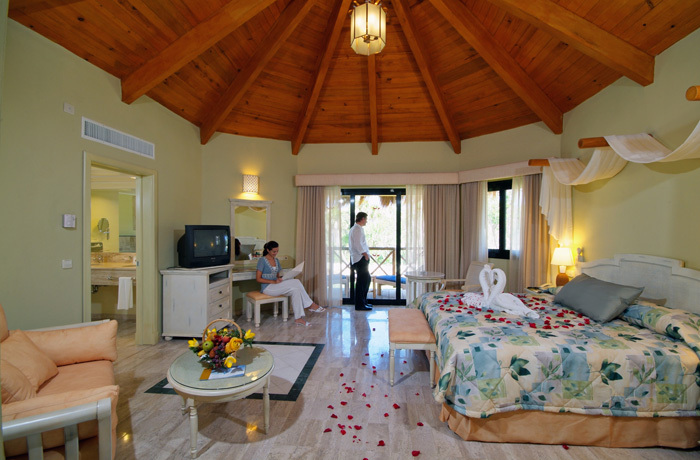 Grand Palladium Resorts offers superior class with respect for the environment. These resorts stand out for being located in Riviera Maya, Puerto Vallarta & Punta Cana, all paradise locations beside fantastic beaches. In their building, the local flora and fauna has been respected at all times. PALLADIUM HOTELS & RESORTS offers high class establishments in authentic paradises and ideal destinations so relax and enjoy the stay. This stunning resort offers hotel rooms and suites, within two hotels - Colonial and Kantenah that have a horizontal flow with easy access to all facilities and a white beach which curves around a peninsula on the Caribbean Sea. There is a choice of four à la carte restaurants--Mexican, Oriental, Mediterranean, and a steakhouse--and three buffet restaurants offering continental, local and Creole cuisine. The Azul Palapa has dining a la fresco, overlooking a gigantic lagoon size pool, with Grecian columns encasing pools of bubbling water. A magical setting! WHITE SAND JUNIOR FAMILY SUITE - White Sand Junior Family: Same as White Sand Junior Suite but will accept 2 adults + 3 kids (12 & under) with existing bedding. 1 King Bed or 2 Double Beds. Grand Palladium White Sand and Riviera Resort & Spa has 5 swimming pools with a built in Jacuzzi including one exclusively available for guests staying at “The Royal Suites”. The sports facilities include tennis, paddle, badminton and petanque courts. Archery gallery. Beach Volleyball. 5-a-side football ground with artificial grass and a Mini golf course. The resort provides an extensive variety of nautical activities, including catamarans, water bikes,, canoeing, snorkelling, windsurf, sun fish and scuba diving demonstrations in the swimming pool. The sailing and windsurf lessons, as well as the scuba diving courses and excursions have an extra charge. A large team of specialists are in charge of the entertainment and sports activities in the beach and swimming pool areas. Shows, special activities for teenagers, minidisco for children and a miniclub for smaller children (4 to 12 years), always supervised by professionals. Mini Club El Ranchito located in the Colonial / Kantenah Section with daily activites, many of which are eco-related. Club is open from 9:00 to 5:00 daily. There is also a Teenage entertainment program at peak times. Buffet Restaurant - Open air dining overlooking the main pool. Italian Corner and Show CookingFood selection is in an air-conditioned service area. Espeto - Brazilian Cuisine. Air conditioned, Reservations required, Selected set menus. Mare Nostrum - Trattoria Restaurant. Italian Cuisine. Air conditioned. Reservations required. Selected set menus. Ribs & More - BBQ and Grill. Air Conditioned. Reservations required. Selected set menus. 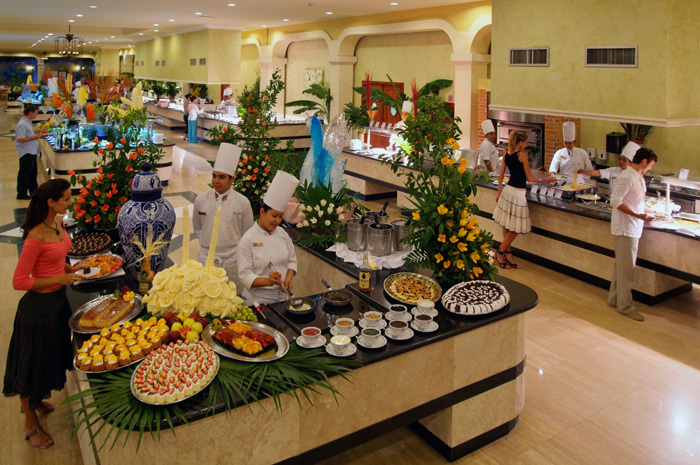 Main Buffet - Offering an Italian Corner, Mexician Corner, Show Cooking air conditioned. Bambu - Specialy in diverse Asian cuisines. Sushi Bar, Air Conditioned, reservations required. Selected set menus. 14 nights= 5 a la carte dinners. Use of all bars located in the 4 Grand Palladium hotels in the complex.